The cello is one of my favorite instruments. In fact, of all the stately orchestral instruments, it may well be my most favorite. Mournful, soulful, melancholy — it’s often heard at times of sadness, to commemorate a dark day or to mark someone’s passing. 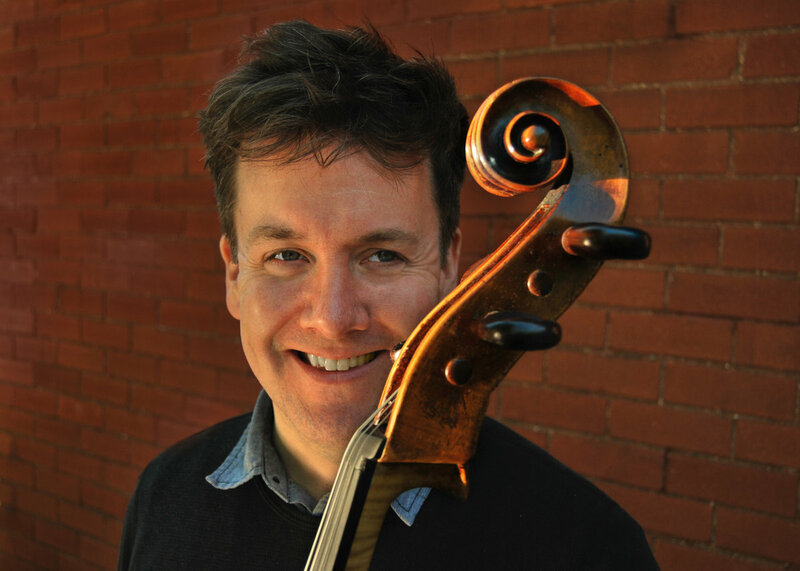 In the case of Hamilton, Ontario session cellist, composer and producer Kirk Starkey, the cello is an orchestra unto itself, with many moods and personalities. His latest recording with George Crotty, Vidi Aqam is distinctly modern, yet also timeless. It’s classical. A little jazzy. Computer literate, yet deliciously steeped in tradition. Mournful, yes, but also hopeful and upbeat. The merging of old and familiar with new and surprising extends to Starkey’s instrument and his method of performance. He plays a Bohemian cello (c.1775) which he then samples and uses to accompany himself. It’s a very cool concept, and not one you’re used to seeing with a traditionally classical instrument. You can see how elegantly this can be done in a 2016 performance for 93.3 CFMU, in their first episode of Sound + Silence, a showcase for local Hamilton artists. Starkey performs with his ‘cello of multiple personalities’ at McMaster’s Convocation Hall. For Vidi Aqam, all tracks were written and produced by Kirk Starkey and George Crotty. It was recorded and mixed at the Wolftone Music Laboratory in Hamilton, Ontario.